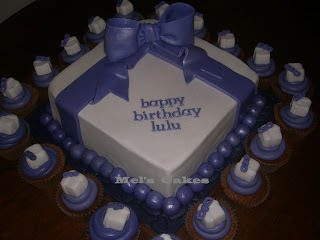 This big cake comes with cupcakes, and similar theme. The cake is chocolate mint mud with mint ganache icing covered with fondant. And the cupcakes are chocolate cupcake.